I write this post from Naga City in Camarines Sur and after two days of exerting myself through various activities, I can hardly move! This province really does live up to most other Filipino provinces with the added advantage of having spicy food. I did mention in a previous post that Cam Sur is in the Bicol region which is famous for its spicy food among many other things. Now to cut to the chase, what can you in Cam Sur? To start with... anyone and everyone knows CWC at Camarines Sur... So just ask any tricycle guy or cabbie (hardly any cabs at Camsur) to take you to CWC. 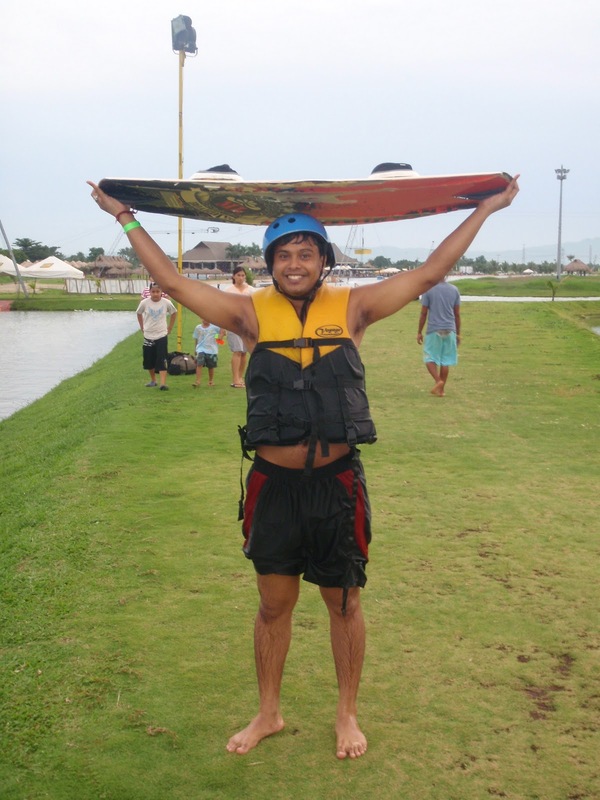 It was an amazing experience... Was my first time and I landed up falling into the water so many times! It was a pretty difficult task staying above water... But it was amazing! It's a lot of fun... I guess that you need days before you can actually perfect the art of actually maneuvering and doing the jumps etc! Just be careful of not doing it for too long the first time coz the effect shows the next day on your arms and legs! The pain in my hands is killing me now! 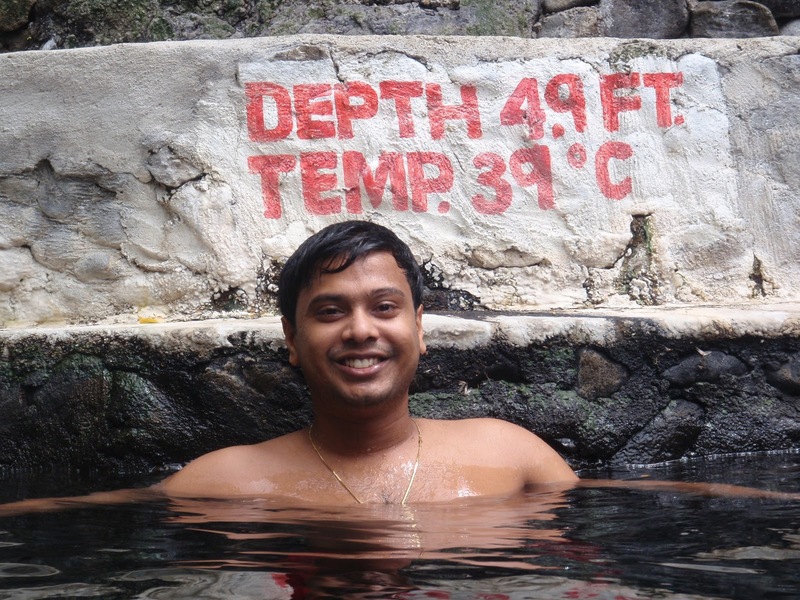 The hot water springs can help you relax after a super tiring day at CWC! You can just laze around in the hot pools there! There are several pools with different temperatures - 29 degrees, 34 degrees and 39 degrees! I loved the hottest one. Felt so good... Almost like lying in a hot tub at home! This place is located at the foot of Mt. Isarog. I just read that Isarog is supposed to be the last rain forest in the Philippines at this blog. 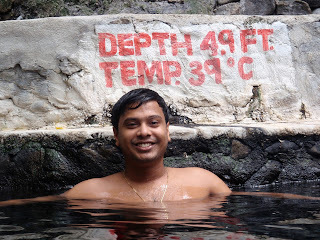 It was a wonderful experience lazing in the hot pool and then jumping into the cold tank right next to it. There's a stream flowing right nearby which is cold... feels like ice! And these hot springs are so close to it. The temperature is modulated by means of limiting the water flowing through the spring holes. There is another bar/pub called Bistro - I don't know the way there but from what I understood, the place is pretty famous and all of the tricycle guys would know the same. Remember while taking a tricycle that it costs 20 pesos to go to most places within Naga. I got dropped of at the place by car and hence I really couldn't follow the route! Overall, Camarines Sur is a very green province and gives you the well needed fresh breath of air after Manila. So worth a trip... But shouldn't take you more than 3 days tops to cover all that is there to see here. last Sunday in holiday i and my all friend in Karachi sea go i enjoyment .all friends are very happy.my first day in sea all friends are stay five days thanks for sharing..